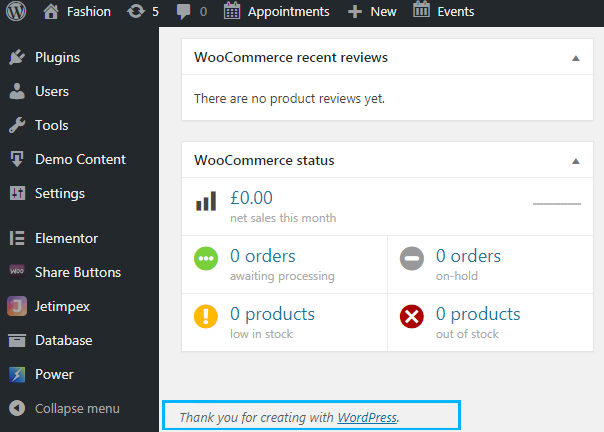 From this tutorial you’ll learn how to remove or change Thank you for creating with WordPress text at the bottom of WordPress Dashboard. 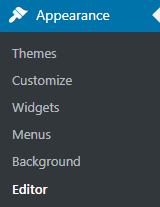 First, let’s log in to WordPress Dashboard and navigate to Appearance > Editor tab in the left column of the Dashboard. 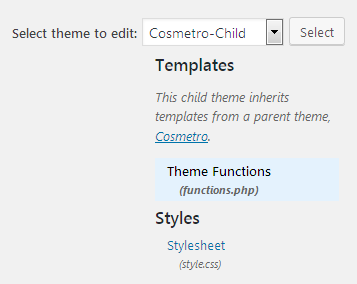 Locate functions.php file in the right column and click on it to open it for editing. You need to add the following lines of code to the bottom of the file. You can replace Developed by and link address and text by your custom ones. Update the file to save the changes.